Mark your calendars! 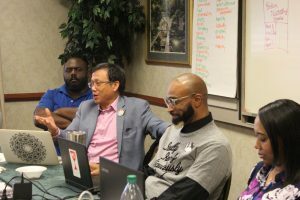 Leadership Academy (LA) is returning to Indianapolis, IN from October 7 to 11, 2019. 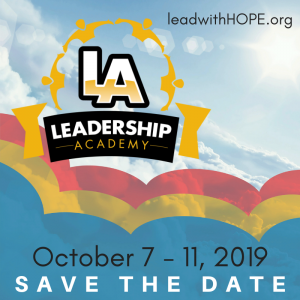 LA is an interactive learning experience that brings together Disciples from across North America to share leadership experience, wisdom, and trainings. 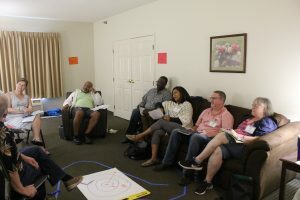 The leadership event has been hosted by Hope Partnership for Missional Transformation of the Christian Church (Disciples of Christ) since 2001. Make sure to visit this page for links to registration, schedules, speakers, and more. The Start (Pre-launch) Track is designed to empower leaders whose church/projects have yet to be launched. With this cohort, participants will discern their missional purpose, develop their future stories, and prepare for launch. – Learn to lead from your strengths and much more! The Sustain (Post-launch) Track is designed to empower leaders whose projects have recently launched. With this cohort, participants will develop strengthening practices to grow and maintain a sustainable ministry. This track is also perfect for core teams, congregation/lay leaders, and newly-affiliated churches. The Soar (Transformation) Track is designed for pastors and lay leaders of established congregations to become inspirational leaders that move their churches into new ways of being. Bring a team, or come by yourself! 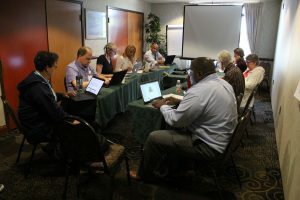 Past participants have helped their congregations relocate or develop new exciting ministries. Denominational Representatives – Regional/Area Ministers, Staff, and Committee Members and Judicatory Executives are encouraged to attend any one of the tracks and/or accompany sponsored attendees.